Please let us know if you plan to attend by RSVPing on Facebook. MEC will be selling the book, and I’ll be on hand to answer questions and ink your copy. Looking forward to meeting you there! 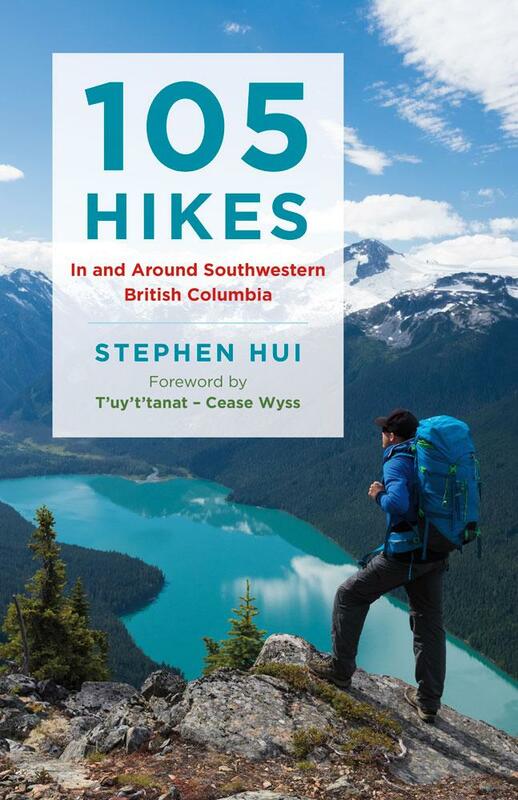 Other 105 Hikes launch events are scheduled for the days following publication on May 26. The Wanderung Outdoor Recreation Society will host a picnic on May 30, and the North Vancouver District Public Library will present a talk on June 4. A portion of the revenue from sales of 105 Hikes will benefit the B.C. Mountaineering Club.